If you wish to add more guests to a booking, you will not be charged an amendment fee. Any names changes will incur a £20 amendment fee. Any changes must be made at least 56 days before the start of the Event by telephone to Highway to Hell on 08700 110034. Where name changes are sought to be made within 56 days of the start of the Event it will be charged at £40 per change. Please ensure you receive a confirmation from us before the Event (and please contact us in good time if you do not receive your confirmation). It may be necessary to cancel your pass due to illness, accident or change of circumstances. Once payment is made for a booking, fees are 100% non-refundable however if you have taken out insurance, payments arising from the cancellation will be covered in most cases. As soon as you know that you need to cancel, please email us on info@hthrocks.com Anyone who has failed to clear their balance by 5pm CET on the due date will result in full cancellation and loss of any monies paid to date. The booking (including apartment, facilities and related services) will then be placed back on sale the following day at full price. Please note that only the guests listed on the confirmation of booking may occupy the accommodation. If any other person(s) are found in occupation, Highway to Hell will terminate the contract, and the guests and unauthorised persons will be asked to leave the Event immediately. In such cases, refunds will not be given. If you are dissatisfied with any aspect of the Event, in the first instance, please speak to a member of the Highway to Hell team. If they are unable to resolve the issue, then please speak to the Guest Services team at your Resort. They will endeavour to help you immediately so that you can enjoy the rest of the Event. Please show consideration to other guests and Highway to Hell staff members at all times and treat the facilities with respect. Offensive or illegal behaviour and/or excessive noise will not be tolerated. If guests fail to comply with these rules, their contract may be terminated and they and their party will be asked to leave the Resort immediately (refunds will not be given). Contracts will also be terminated if Highway to Hell has a reasonable suspicion that any guest has committed, or intends to commit, an offence. Please treat your accommodation with care and respect. It will be inspected at the end of the Event. You will be held responsible for any damage caused during your stay. Damage to the accommodation may also result in the termination of the contract with no compensation. On departure, please leave the accommodation in a clean and tidy. Please check your accommodation carefully prior to departure as we do not accept liability for items left behind upon your departure. We reserve the right to charge you during or after your stay for any loss or damage to our property. Highway to Hell also reserves the right to enter accommodation at any time and for any reason (including but limited to ensuring the safety and well-being of our guests). Highway to Hell reserves the right to require any guest to be interviewed to enable us to look into instances of damage or nuisance to property or guests. Any person who, without a reasonable excuse, refuses to comply will be treated as having terminated their contract. They and their party will be asked to leave immediately and refunds will not be given. WE OPERATE A ZERO TOLERANCE DRUG POLICY. 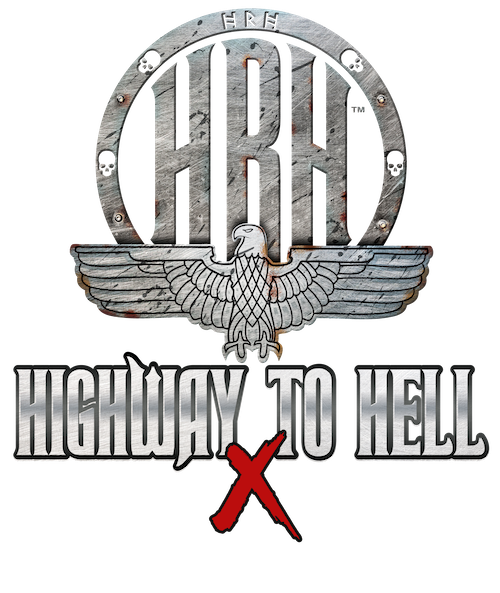 Anyone found to be in possession of any suspected illegal or controlled substance will be removed from the Event (and the Resort), will risk arrest and prosecution and will be banned from attending any future Highway to Hell events.